SCIENCE 21 is an integrated K-6 science curriculum developed locally and regionally at the Putnam/Northern Westchester BOCES. It is a science program designed by teachers for teachers. It is linked to the New York State Learning Standards for Mathematics, Science and Technology. The program's major emphasis is on investigations that are student directed and relevant to students' everyday lives. The program's main focus is on hands-on, inquiry-based science, and math, language arts and technology are integrated at points where they fit naturally SCIENCE 21 achieves a balance between process and content, and is supported by kits and staff development. 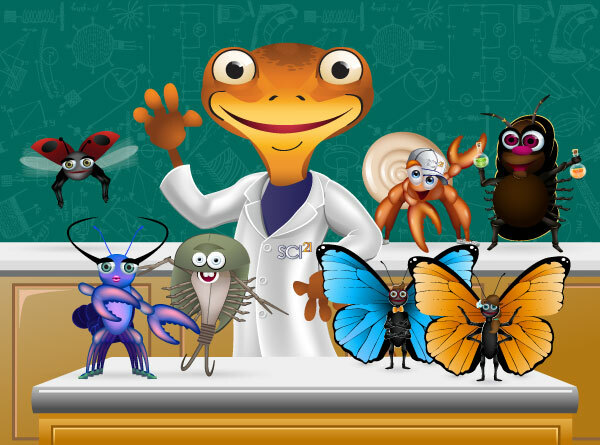 SCIENCE 21 is a K-6 integrated science sequence, developed at Putnam/Northern Westchester BOCES, in which experiences build science conceptual development from unit to unit and grade to grade. There are four units at each grade level with materials kits to conduct all the activities. The first unit usually deals with science processes and investigative tools. The other units provide relevant, grade-appropriate experiences in physical, earth, and life science. While some science programs permit random selection of unrelated units, the implementation of the SCIENCE 21 curriculum insures an integrated, deliberate sequence of instruction that addresses NYS Standards without gaps or overlaps. An integral program that addresses NYS Standards in Science, Math, and technology without gaps or overlaps. Carefully developed sequence of instruction with both horizontal and vertical articulation of conceptual development from unit to unit and grade to grade. Science vocabulary that is integrated and expanded as appropriate throughout the program. Balance between science process and content. Balance among physical, life, and earth science topics. • Supported by E-Mail Distribution List & "hotline"
To find out more about the SCIENCE 21 program, you can use the navigation bar at the left or click on the links below.